Which New York City sculpture is not located in Central Park? | Cafe Arjun - 15 times WordPress Top Blog! Which New York City sculpture is not located in Central Park? Charging Bull by Arturo Di Modica at Bowling Green in New York City. The Charging Bull was sculpted by Arturo Di Modica, weighs 3200 Kgs (7000 pounds) and is made from Bronze. The Bull represents financial stability in America. 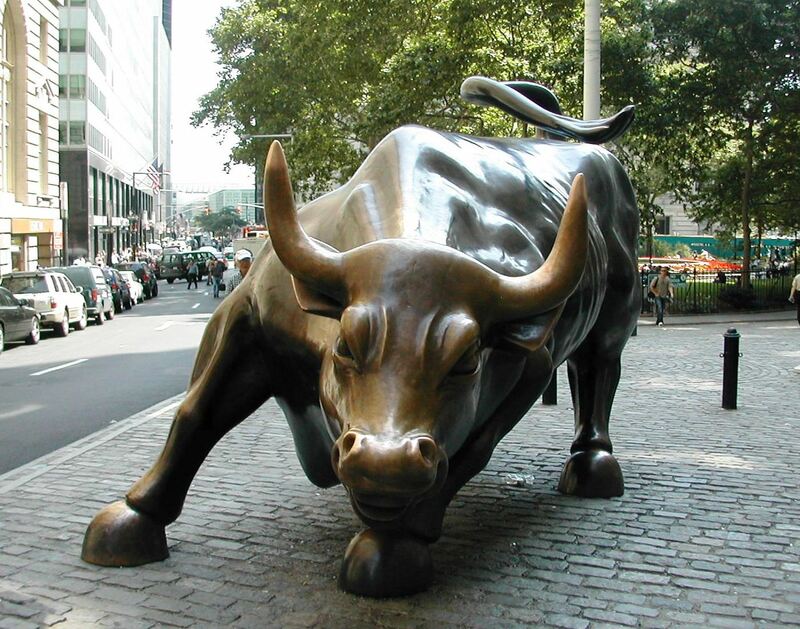 There’s a very interesting story about how the $300,000 Charging Bull ended up near Wall Street. Read at Wikipedia. I have to admit – I don’t really understand the question. There are tens of other sculptures located in different parts of New York. Can the answer be Statue of Liberty? Do they want to ask “not located on mainland” or something? or is it multiple choice? Please help me with this one guys. First 24 questions made sense. This one doesn’t. Eric’s suggestion – Charging Bull. Tags : Central Park New York Sculptures, Central Park sculptures, charging bull new york, New York City sculpture not located in Central Park, Sculptures in New York, Which New York City sculpture is not located in Central Park? ← Approximately what percentage of Costa Rica’s land area is in protected areas? E, the question is which sculpture does not lie in Central Park. Answer: Charging Bull — The 7,000 pound, bronze sculpture entitled “Charging Bull” is also known as the “Wall Street Bull” for its location in Bowling Green park near Wall Street in New York City. Since this is multiple choice (as Wayne Michele said), there’s an implied “of the following” at the beginning of the question. In other words, two of the sculptures are in Central Park and one isn’t. P.S. Thanks for posting these. I went to school with Arturo di Modica, and that was in Florence long time ago, in the 60th. Arturo went to the Accademia and I did something else….then I lost him. I met him again in 1990 in New York. I recognized him by the size of his moustaches. Does anyone know where is he? Does anyone know if he was ever paid for the bull? i dont get it, a number of nyc sculptures are not in central park. like the astor place cube and the mcgibbin lofts. duh. Thanks for blogging about the bull. I put him on my blog about Il Porcellino.